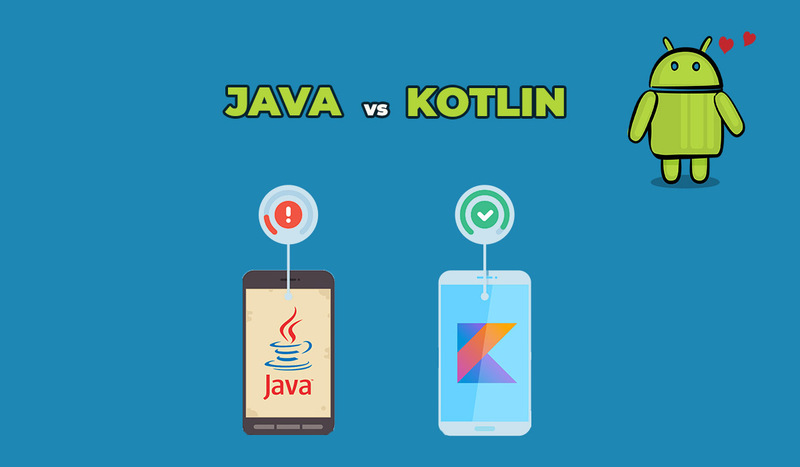 Why Kotlin is Better than Java for Android App Development? Java and Kotlin are both very popular Android app development languages in 2018. Java has been present for 22 years already which is why there are loads of features that can not be implemented due to Java’s massiveness and obsolescence. That is quite a long time for a programming language to be honest. 1. Kotlin requires less code to write. Java isn’t known for being the most succinct language, and while that isn’t a con in and of itself when you’re programming for Android and using a bunch of common idioms, a verbose code can lead to more chances for bugs. When you’re able to write less code (at least 20%) with a language that’s more concise, there are fewer opportunities for errors, and it’s less tedious for developers. Kotlin has null in its type system. Nullability problems are common in Java, and Android uses null quite a bit to represent the absence of a value. Basically, having a null point exception can kill an app. Kotlin solves this by having null right in its type system, not forcing developers to use some kind of workaround. In Java, you need to manually check whether the link is null or not null. If null is missed – boom, crash, voila! In Kotlin’s favor, every object is automatically set to be Null in this language + there are automatized checkups for the NullPointer – to ensure code works properly without it. Kotlin was written by the same inventors who created popular integrated design environments (IDEs), so its background comes from mobile industry. Again, in Kotlin every class is a function, and vice versa; more to this, Kotlin for Android has optional types, which help with all the safety checkups. As mentioned, less code almost guarantees fewer bugs and, respectively, less time is tracked on the whole coding process. Quite often, software development teams calculate the total costs of the project according to the number of hours developers spend on coding. 6. The Anko library and plenty of other Kotlin-based projects. The Anko library is a Kotlin source file that eliminates a few XML-related headaches, too. There are over 2000 Kotlin projects on Github, with everything from frameworks to build systems to libraries. Undoubtedly, Kotlin has made many changes, positive changes, to the long and most used Java in android app development. It has even announced that Kotlin is the official Google’s language for Android development. It has made the life of programmers a lot easier to deal with and easier to maintain. Kotlin is really a good replacement for Java (based on the above-mentioned facts) and as time goes by, surely this will be more developed, more advanced that will make the world of Android app development more promising.